So you didn’t start saving when your kid was in diapers, and now they face an expensive college education. Don’t panic. There may yet be a way to save your child from drowning in student debt. Of course, the sentiment is a good one. Parents ought to save more for their children’s education. But parents also ought to pay off credit card debt, save for retirement, have an emergency fund, pay for day care, and buy groceries, health insurance, and new school supplies. The fact is, most parents feel financially squeezed. So it seems silly that we try to shame or inspire people to save for their children’s future college education when every dollar can go toward a more pressing need today. Want your child to graduate from college debt-free? Tell them that’s your goal. Explain the cost of college and how much (if anything) you can contribute to the that. Start the college-cost conversation as early as middle school and keep talking until your kid walks across the stage at college graduation. Every parent I know wants to direct every penny of savings to their kids, but that’s generally not a great idea. While your kids are in elementary and high school, prioritize your retirement savings over their college funds. Investing 10 to 20 percent of your income for retirement gives you some margin in your budget. Once your kid enrolls in college, you can cut back on your retirement savings to help offset some of the costs. Did you know that most states offer dual or postsecondary enrollment options for academically capable high school students? That’s right — in most states, your kid can get a free college education while he or she attends high school. You may be thinking, My kid is smart, but she’s no genius. While that may be true, don’t discount your child’s abilities. You don’t have to be a genius to succeed in a dual-enrollment program. You just need to be capable and willing to work. With dual enrollment — not to mention AP and CLEP exams — many students can complete as much as three years of college by the time they graduate from high school. So your kid is 17 years old and has nary a college credit. What’s more, you haven’t saved a dime. Never fear! He can still graduate from college debt-free. It will just take more time and flexibility. Encourage your child to work full-time while working toward his degree. The job will give him the money he needs to pay for tuition without going into debt. With a full-time work schedule, your kid may need to choose a more flexible school option, such as an online degree program. Working while still in high school will help your kid develop confidence, money smarts, and time-management skills. He is going to need those skills to graduate from college without debt. In an ideal world, your teen will also manage to save some cash to defray his own college costs. In reality, they’re likely to spend a ton at Starbucks. But working still provides a great foundation for future money management. Most students won’t earn a full-ride scholarship to college, but there are loads of small scholarships out there. Every dollar counts. Buy your child the Scholly app. For $2.99, it helps students connect with thousands of scholarships. Many college students want to own a car, but if debt-free graduation is your goal, discourage your kid from buying one. The truth is, cars are expensive to purchase, own, and operate. Edmund’s has a “True Cost to Own” calculator that explains just how much it will cost to own and operate a vehicle. Public transit, a bicycle, and the rare Uber ride can help your kid keep their living costs low so that their hard-earned money can go toward tuition. If you live in the Northeast, every university costs a lot of money. The average student in the Northeast spends more than $35,000 per year on education, according to a study by Sallie Mae. Elsewhere in the country, the average runs from $19,181 to $21,577. Here in North Carolina, in-state tuition for UNC Chapel Hill is just $8,566 per year. In New York, the in-state tuition for the University of Buffalo costs $9,574 per year. And living costs are higher, too! Want to stay where you are? Financially independent kids can establish residency in a different state to gain access to in-state tuition costs. Pay down debt, including your mortgage. Save in retirement accounts rather than college or savings accounts. Have debt on a rental property rather than your personal home. Consider ways to cut your income before your kid goes to college. In general, you won’t get many grants (free money) from the FAFSA. But your school is likely to use the FAFSA to help issue other forms of need-based aid, such as scholarships and work-study programs. If attending an Ivy League school means going a $100,000 into debt, consider helping your child find a more affordable top-flight public university. The weight of an institution weighs heavily in the minds of most current students, but the value of a brand-name school is suspect once you start working. 1. Attending college can be quite expensive. Name three ways in which you could cut the cost of college. 2. The abbreviation FAFSA was used in the article. What do the letters stand for, and what is it? 3. Why might not having a car be a wise decision when at college? 4. What is a 529? 5. Where can you get a 529? Give five examples. case for and against an affordable school. 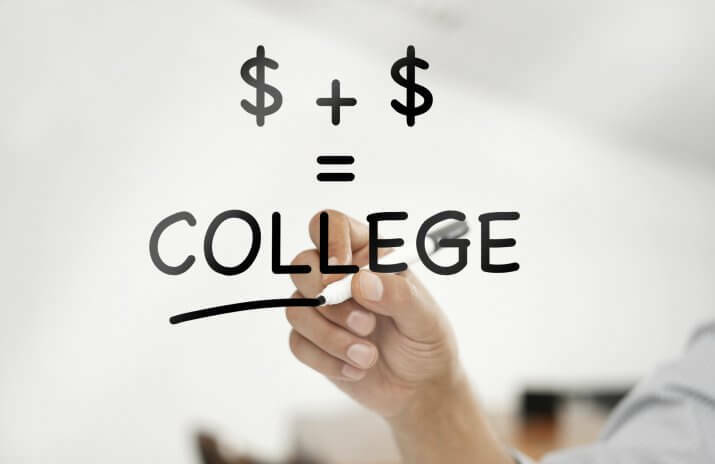 The Top 10 Tips for Lowering the Cost of College?